You were active as the National Publicity Secretary of the defunct Congress for Progressive Change, but the moment the CPC merged with other parties to form the All Progressives Change, you went quiet. Some people say it is because you didn’t get a ministerial appointment or that you just got tired of defending a government that people think has performed woefully. Which is it? None of the insinuations is correct. My support for President Muhammadu Buhari and his government is irrevocable; it is not as a result of what I got, didn’t get or likely to get. My support for him is basically because of his patriotic approach to life. He is a patriot who desires the best for Nigeria. Nobody introduced us; I did my research before joining his party in 2010. I’ve played very active roles in bringing this government into being. First, as the NPS of the CPC, one of the legacy parties that brought on this change. I was in the merger committee of the CPC that negotiated with other political parties to form the APC. And when it was time for the President to contest the primary of the party for presidency, I campaigned for him to emerge as the APC candidate. And in the election, I was all for him. And when the government came on board, it didn’t matter if I was given any position. It was not until more than a year that I got a board appointment – executive directorship of an agency. Talking about change, your party has just won the governorship election in Ekiti State amid reports and video evidence of vote-buying, especially by the APC and the Peoples Democratic Party with your party identified as the biggest culprit. Let us not forget what happened in Ekiti in 2014. I heard the British High Commissioner to Nigeria saying on TV that the police did not harass anybody and that their presence made the election peaceful. In 2014, not only the police or the Department of State Services were there, but soldiers were brought in. The APC members and opposition leaders in Ekiti were arrested two days before the election. They went to the village of the father of Bimbo Daramola, the then Director-General of Kayode Fayemi Campaign Organisation. He was not available, so they arrested his father. We don’t have any record of such in this last election. That should tell you that there is indeed a change. And on vote-buying, if it is proven that the APC and the PDP participated in it, then it speaks volumes about the level of development of our democracy. It shows the mindset of the people. In a democracy, it is the people that are at the epicentre of all democratic arrangements. So can you have a giver or say vote-buying took place when there was no receiver? So it means that the people actively participated in it; they wanted it. But does that make it right? No, it doesn’t make it right. What I’m trying to tell you is that we are too much in a hurry; all these things will fizzle out when we learn as a country not to have people like Governor Ayo Fayose or undesirable elements in leadership positions in our nation. When people are made poor to the extent that they are ready to sell their birthright or everything that makes them citizens for as low as N5,000; it speaks volume of poverty he brought on them. The Peoples Democratic Party was in power for 16 years and at the time former President Olusegun Obasanjo was in power, we know that there were some indecencies he perpetrated that are no longer possible. It is because as a nation, we are growing our democracy and it has grown to the extent that we consider those things as not possible. He used state assemblies to impeach governors; it could be six lawmakers impeaching a governor in a 21-man assembly. So, our democracy will grow to the extent that some things we see right now will no longer be there. People that will make our people poor should never get close to leadership anymore. If Fayose brought poverty on his people, your party also capitalised on the poverty level by buying votes? You, are you an angel? Are you perfect? You are a citizen of Nigeria and you are not perfect so why do you think we will have perfect leaders? But what is wrong is wrong. Isn’t it? I started by saying that the people are the highest point in any democratic arrangement. Understand that politicians are there to adhere to what the people want; we are not to lord things over the people. If the people say they want to be bribed in exchange for their votes, what do you do as a politician? But it is illegal and criminal to pay people for their votes. Yes, it is criminal but the reality of the situation is this – a man has needs for food and has a permanent voter card and someone says you can sell your vote for N5,000. Because of Fayose’s desire to remain in power, he started distributing his own. So, should the other set of politicians now wait and allow him to buy up all the electorate and win the election on that basis? Then that goes to explain that there is no difference between both of you, contrary to the change you claimed. It is not about ‘there is no change’. We have power over the security agencies; we have not used that power to the disadvantage of the opposition like they did in 2014. But, the behaviour of the electorate was not in our power; it is within the right of the electorate. If Fayose was buying the electorate and you say there are proofs that the APC did the same, it was because the electorate wanted it so. Journalists, government, civil society organisations and others have to do enough sensitisation so that such will never happen again. You said Fayose brought poverty on his people, but if that is true, he alone could not have been responsible for it as Fayemi was also governor for four years. I’ve explained it before – the PDP’s hypocritical brand of politics. They are choosing to remember what they want to remember. In June 2013, the National Bureau of Statistics said 112 million Nigerians were living below the poverty line. I didn’t write it; it was the NBS that said it. So, all the efforts of the APC now are to correct the damage the PDP caused this nation. But whatever the situation was then, it has gone worse under this government as more Nigerians have become poorer under this government. The PDP has money with few individuals but the people that were bearing the brunt of it were in the villages and rural areas. Those of us close to the people in power were not really feeling it because they were throwing some things to us and we were enjoying it. Buhari has blocked such leakages. Why should few people in the society take the commonwealth of everybody? Why not allow it to go round? And that is why President Buhari is spending on things like infrastructure that will be enjoyed by the majority of the people. As you are talking about those complaining, there are many more Nigerians who have gone into agriculture in the last three years and reaping the benefits. But many more have lost their jobs under this government. The fact of the matter is that some companies were not actually doing anything substantial but they had access to our commonwealth and were living on that. So when a reasonable government comes in, such companies will naturally collapse and that is what has happened to some companies. Some companies were not really doing any genuine business. I know you will tell me that some banks have laid off their workers. Yes, even so many manufacturing companies have closed down since Buhari came in. Wait, some of those banks were not really doing any banking business. How many people were they giving loans to? Part of the banking law which the Central Bank of Nigeria gave them is that a certain percentage should be given out as loans to SMEs, how many of those people were ever getting loans? But a lot of experts believe the President led the country into recession, by taking six months to appoint his cabinet, delaying to devalue the naira, mismanaging government’s relationship with Niger Delta militants, especially Niger Delta Avengers and so on? Somebody may look fine yesterday and die suddenly and people won’t realise that the man died because his internal organs had suffered damage. Under the PDP and former President Goodluck Jonathan, Nigeria’s internal organs had suffered damage and it was ready to die. It was when Buhari came that the problem opened up properly, because the economy was subjected to open banditry. On their own, they set aside over $2bn to fight insecurity and insurgency and they shared the money among themselves. How many projects has Buhari started on his own? Buhari has not initiated any project. It is the abandoned projects of Jonathan that he is completing. Let me tell you, the recession was waiting to happen. When we wake up as Nigerians, we should go on our knees and thank the God of heaven that Jonathan did not win the presidential election in 2015, otherwise Nigeria would have been on sale because of the plundering that had taken place. Concerning the recession you spoke about, companies that were handling various projects and contracts had to lay off their workers because the PDP-led government was not paying them. The reverberation of that culminated into our recession but this government started paying them and they started engaging their workers again. Now, at least one Federal Government funded project is going on simultaneously in each state of the federation. You have been criticising the coalition of the PDP, R-APC and over 30 other parties that formed the Coalition of United Political Parties. Since the APC is a product of a merger of parties and it was successful in 2015, why are you jittery? It is not a serious minded coalition that can get anybody out of power. How you will know that they don’t have a coalition is when they announce their presidential candidate; that is when the coalition will scatter. They were united by treachery and treachery will scatter them. But that sounds like the APC also because so many people have described it as a fellowship of strange bedfellows who joined forces because of their desperation for power but without the knowledge of what to do with it. Doesn’t that describe your party and explain its internal crisis? The kind of merger of the APC is not the same as what these other people have. What they have is coalition. We already had a movement. The APC became a movement. What is the national plan of this coalition? Who is the national person that can be a rallying point among them? Talk about one. But Obasanjo is one of those who played a role in the emergence of President Buhari and now that he is with the coalition, he may also play a big role in getting Buhari out. When anybody mentions ex-President Olusegun Matthew Okikiola Aremu Obasanjo as being instrumental to anything, you just wonder what exactly our problem in this country is. How can anybody say that Obasanjo was instrumental to Buhari’s emergence as President? Which role did he play? The fact that Buhari and APC leaders went to his house in Abeokuta did not mean that he played any role in the election of Buhari. If Obasanjo contests an election in Abeokuta today, if you place a polling booth on his street, he cannot win there. How sure are you about that? Is it not the Obasanjo that was President for eight years? Let him say one thing that he did in the South-West. The state of the road to his Ota farm was in a worse state than he met it in 1999. I was living around there. But why didn’t the APC say all this when they were courting him before the last elections? Yoruba people say if people are deceiving you, why should you deceive yourself? Obasanjo knew what he did in 2003. He only used his presidential powers to overrun the South-West in order to vote for him by force. He does not have the image of people like Obafemi Awolowo and Moshood Abiola; that is the only thing that continues to pain him. He knows that despite being the only Yoruba man that has ever been President in this country and being there twice, he doesn’t have half of what people like Awolowo and Abiola have in terms of massive support of the Yoruba people. You now say he played any role when he does not even have any electoral foothold. If he didn’t have any electoral foothold, why did the APC chieftains visit him in Ota to seek his support? He was a head of state and a former President, both military and civilian. If the APC leaders found themselves in Abeokuta; it was part of protocol to visit him. It was not because he was going to help the electoral fortunes of the APC. In fact, Gen. Obasanjo is a liability to anybody that hangs on him because as it is now, some of the issues that we are facing in this country are traceable to his misgovernance. 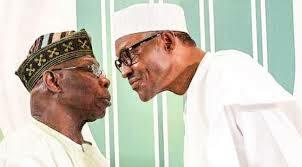 What we call do-or-die politics was brought by Obasanjo to our political life. He said before the 2007 elections that the polls would be a do-or-die affair, and truly, it was so because it was the most unenviable and senseless elections ever held in the history of this country. It is the bad legacy that he left us with that we are still facing now. Nigeria would have been better off if he had behaved like Nelson Mandela or like Buhari now. In the last three years, who have you seen being killed on the streets of Nigeria? Ibrahim El-Zakzaky’s followers were killed. You are mixing two issues. We are talking about politically motivated assassinations; the type that happened to Bola Ige (the late Attorney General of the Federation), Harry Marshal and Aminasoari Dikibo. When else have we had a situation in which a serving AGF was killed in his house? Audu Ogbeh would have been killed on his farm. He had to run away. His government also failed in terms of anti-corruption. Even if you will not talk about $16bn spent on power, the 36 state governors contributed N10m each to his personal project – Obasanjo library. But he has debunked claims that he spent $16bn on power and that the House of Representatives investigated the matter and didn’t indict him. Which debunking? He told us to check it in a book; when we are not buffoons. Is the House of Representatives the same as a court of law? How will someone without electoral value be able to support someone else’s electoral fortunes? I have never voted for Obasanjo as a Yoruba leader and there are many Yoruba people like me because we know his past as military head of state and what he stood for. Forget about the rhetoric, put Obasanjo and Buhari side by side, Buhari is head and shoulders above him. That is subjective as it can’t be proven. In what way is it subjective? What can’t be proven? Obasanjo came and sold Nigerian assets. You are telling me he still has love for Nigeria. This government also proposed to sell some public assets and had to back down following criticisms? And for the refineries, he felt that government could not effectively manage them and we can now see that he was right. Why won’t the refineries become comatose when he gave people that had no pedigree in terms of refinery maintenance to do turnaround maintenance? He was using that to give jobs to the boys; something that was supposed to be given to the original manufacturer. Obasanjo never meant well for this country. A man who took $12bn or $18bn to buy back our debts but we also know that the consultants that were appointed to facilitate that deal laughed to the bank. Who appointed those consultants? Where else in the whole world has that been done? Has the US ever opted to have its debts written off in one day? Nigeria is a nation with serious infrastructural deficit; that money could have been spent on infrastructure. What was Obasanjo’s worth when he left Yola prison in 1998 and what is his worth now? So Obasanjo cannot be a rallying point for anybody because he is a damaged brand himself. You also don’t seem impressed by the Chairman of the R-APC, Buba Galadima. You attacked him in a Facebook post recently, describing him as desperate, indisciplined, and a political liability. Do you two have a history? He is a political liability wherever he is; he can talk and talk. I know he has an office at Zone 4 in Abuja and also has a house in Abuja and another in Yobe State. Put polling booths in front of his houses in those places and ask people to vote for him, then come and tell me whether he will get votes or not. But he can go to BBC and talk. He is highly loquacious and can say big things and threaten anyhow. But he was very close to Buhari, whom you say is a man of integrity. Then he also must be a man of integrity. Who is a man of integrity? How did that closeness help the electoral fortunes of Gen. Buhari for the 12 years that he was close to him? People have a right to their opinions. Maybe he felt things were not going with the way the APC had promised and didn’t want to be part of it again. Is that wrong? He kept on damaging, backstabbing and treacherously abusing the man (Buhari); that was what happened. It is an open space; everybody has got the right to say whatever they want to say. So I’m not faulting him for doing that. But I also have the right to tell people that this is the kind of person this man is. He’s playing the role of a spoiler. Which reformed APC? You are saying that the APC didn’t conduct its convention very well and he called himself chairman of a faction, so in which convention was he given the chairmanship position? He thinks Nigerians are stupid. A group called Salvage for Development Initiative, in a statement, accused you of attacking Galadima because he once asked you to refund or account for some money put in your care as the National Publicity Secretary of the defunct CPC. How much was put in your care? It’s all absolute balderdash; total idiocy and nonsense. Galadima can blackmail anybody. Which money did the CPC have to give to anybody? By God’s endowment and his gift in my life, I was able to get the CPC media space free of charge. We knew him as treacherous; he was driving a Kia Sorento that was given to him by a PDP governor even when he was the CPC National Secretary. We know of how he used his position to change the party’s nominations and of course, many people said it was for pecuniary reasons. People who never participated in primaries, he would smuggle their names in because he had the party machinery with which he submitted the names. He should have mentioned the amount. You mentioned Obasanjo and political killings that occurred during his time but it appears that various administrations have had their own problems as Jonathan had his, but now, there are killings by suspected herdsmen, rampant kidnappings and ritual killings, and this government is not talking as if it is serious. Some of these things are best situated in the fact that we as a people believe every lie that is sold to us. I believe the PDP and the opposition just thought that it was only propaganda that brought the APC to power in 2015 and that they can use that to get themselves into power. I think that is what is responsible for the faulty slanting of the events in the nation. Between 2010 and 2015, 14 local governments were under the control of the Boko Haram insurgents. It had its flags hoisted there as its territory. Within that period, we knew how ragtag our military became and Jonathan drove our military to a comatose state. On sighting Boko Haram insurgents, they would take to their heels. We seem to have quickly forgotten that. The same soldiers have got back their confidence. They were even available in Gambia to enable them to restore order and they have ensured that not one inch of space is available for the insurgents anymore. As it is now, what we have is asymmetric warfare. Every nation that has had any contact with such kind of warfare knows how challenging it is; even the US with its military might still has its challenges in combating asymmetric warfare. When the 9/11 occurred in the US, it was ill prepared for it. Now, there is even a strong suspicion that this thing is coming as a result of some opposition figures fueling it secretly. The government is aware of it; it is processing intelligence and when the right time comes, the people will be named and shamed. What then should we believe because this same government has blamed the problem on people from Libya, anti-open grazing laws in some states, Fulani herdsmen—farmers clashes and now politicians? That is why I said the problem is very challenging. Nigeria has much vulnerability because of some weaknesses. When you have a nation in which there is an unprotected border with the Sahel region, it is open to many things. Of course, we know that Muammar Gaddafi had a large cache of ammunition and a large army and was the unifying factor, putting different forces in check. When he was executed, there was anarchy and nobody can deny that we have problem of arms proliferation in this country because of that. Look, our soldiers and other security forces are getting stretched but they are trying their best to keep the country safe. This problem is a potpourri of many things – the Boko Haram elements that have been dislodged from the North-East, the elements that have crossed the Sahel down here, the tension among farmers and herders and the worst of it now has been the hand of unscrupulous politicians doing their nefarious acts. So why can’t the government just arrest them? That is why I said the government is unmasking them and when the time comes, they will be named and shamed. Where you journalists need to help is in appealing to our people to reign in their tendencies for ethno-religious sentiments. The question is: are we really serious as a nation? Do we really want to have our problems solved, especially if you look at the way the opposition has latched on to the killings. We can say that it is the same way the APC latched on to the Boko Haram issue when Jonathan was there. Why are you complaining now? It is totally different. I was in the opposition then and I can tell you that we were not just doing propaganda; we were going against the indecency of Jonathan’s administration. We heard it on good authority that our soldiers at that time were not given ammunition to confront Boko Haram. We knew that government was not sincere about its fight against Boko Haram. We confronted the government with it and to really cement our fears, sometime in the life of that administration, there was a bomb blast in Nyanya, Abuja and the President visited the scene. He saw mangled bodies, blood spattered on the ground and I was convinced that the fight against Boko Haram would assume a different dimension. Alas! I was wrong. Less than 24 hours later, Jonathan was in Kano State to receive Alhaji Ibrahim Shekarau into the PDP and was dancing deliriously at the rally. And it was even an illegal political rally because the Independent National Electoral Commission had not given permission for campaigns to start. At that time, we concluded that this man was not a leader. But shortly after a deadly attack by suspected Fulani herdsmen earlier this year, President Buhari was also in Kano, attending a wedding ceremony. In 2012, when Buhari was to be 70 years old, some of us that were his close associates were putting together a 70th birthday celebration for him. Bishop Matthew Kukah was to be the guest lecturer and we had secured the hall and lots of preparation had been done. But few days to the event, a former governor of Kaduna State, Patrick Yakowa and Lt. Gen. Andrew Azazi were killed in a helicopter crash. Gen. Buhari cancelled the entire ceremony. That was his ceremony. But this was a wedding involving the children of Oyo and Kano states’ governors. Buhari had been told before that he would be the one to seek the bride’s hand on behalf of the groom’s family. While you mourn the dead, you cannot suspend the life of the living. He had no control over the cancellation of that wedding and he had a lot of respect for the governors. But that did not vitiate his deep sadness over the death of those that died. But even Buhari’s running mate in the 2011 election, Pastor Tunde Bakare, expressed his disappointment with Buhari’s action, saying even if the wedding would hold, it should have been without fanfare and paparazzi. Was he the one that organised the event? You cannot control what someone else wants to do with his life. If you have money to spend on your children for their wedding, it is within your right as long as the money cannot be traced to any act of corruption.